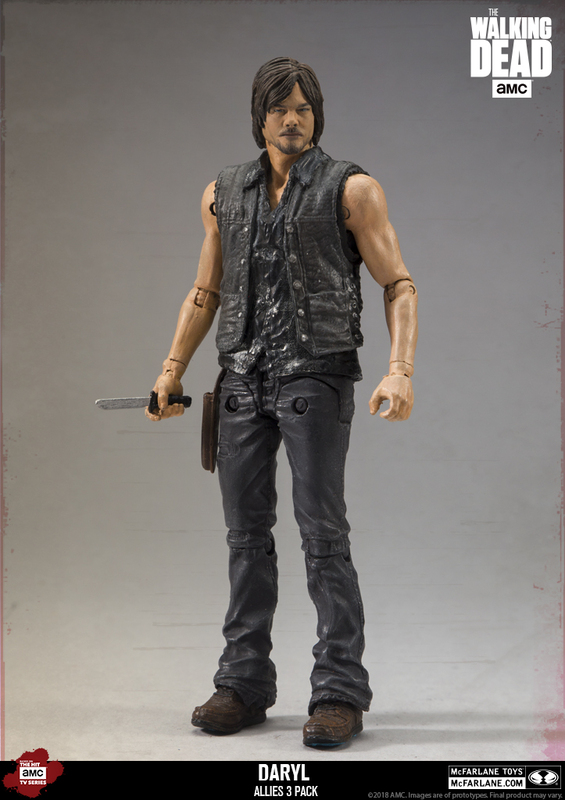 McFarlane Toys has updated with more photos of their upcoming The Walking Dead TV Series – “Allies” 5″ Scale Deluxe Box Set. 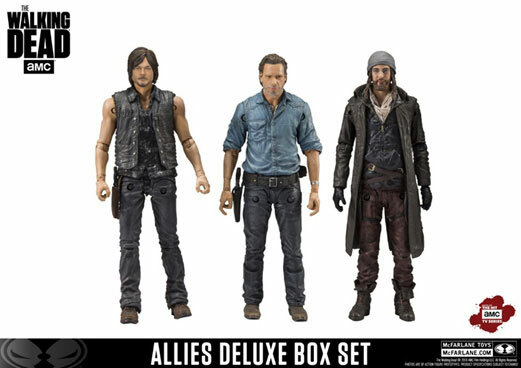 This set includes Rick Grimes, Daryl Dixon and Paul “Jesus” Rovia from the TV Series. 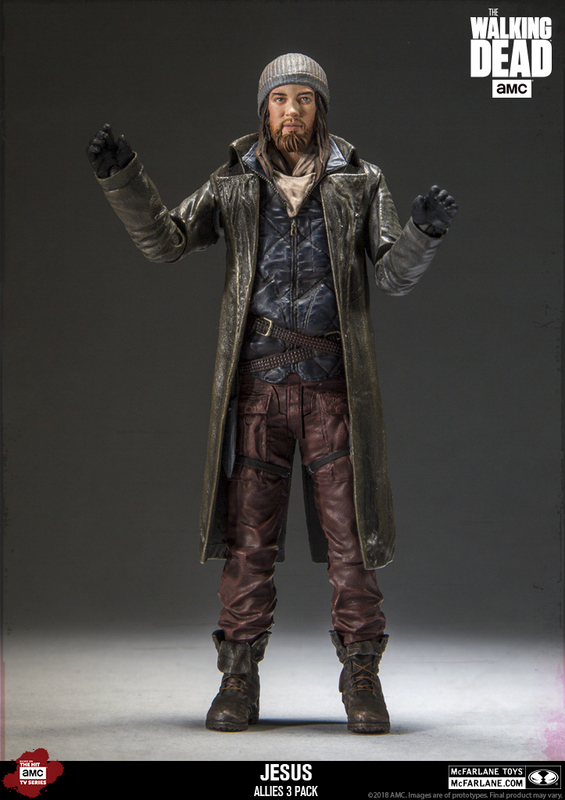 This marks the first 5″ scale Jesus figure from the series. Due for release this Summer, the box set is priced at $34.99. 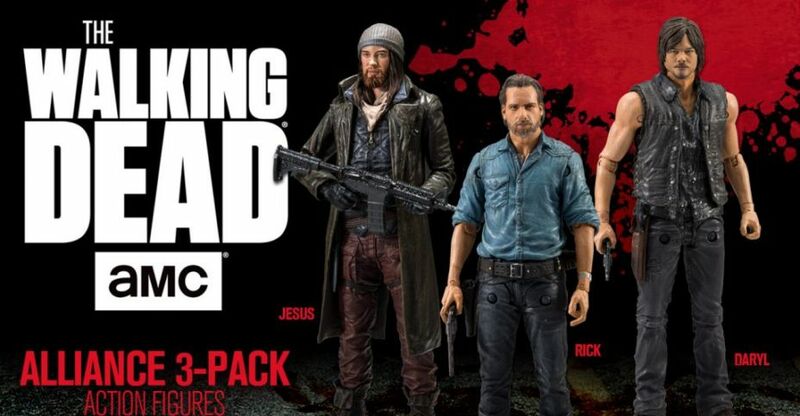 Recreate the moment Rick, Daryl and Jesus crossed paths in AMC’s The Walking Dead. This encounter was the introduction of Paul Rovia better known as Jesus. 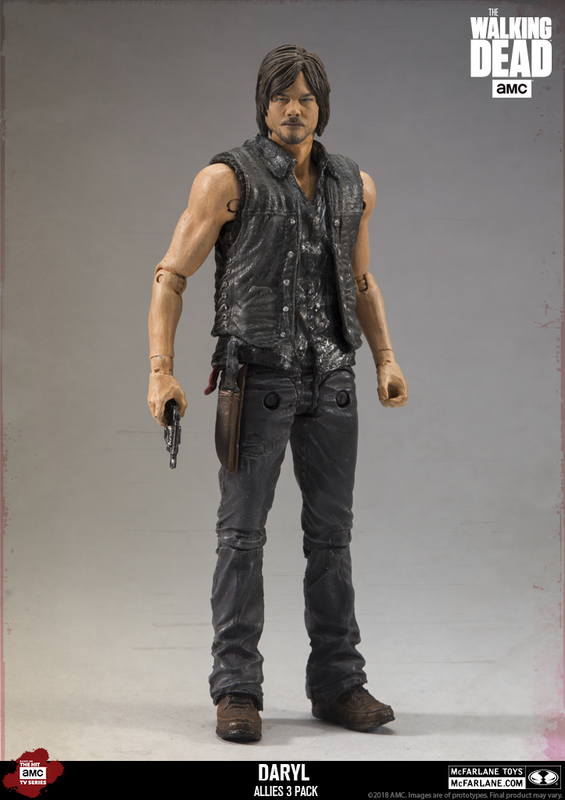 Rick and Daryl have been around since the series inception and now Jesus has joined the group as the story continues to unfold. Well, $30 isn't a bad deal for those who don't have any of them. Why don’t they do more zombi—er—walkers? I like the idea of walkers outnumbering people, the waves should be like 7 unique walkers to 2 humans. The Morgan pack had it right. TWD has always been a lot more about the living characters with the walkers just being like generic obstacles. Yeah, I know, I watch the show avidly. Still, think the walkers are more figure worthy subject matter than a fourth rick. Ya gotta admit a display with 8 to 10 survivors fighting off 4 walkers lacks the whole essence of the zombie threat. 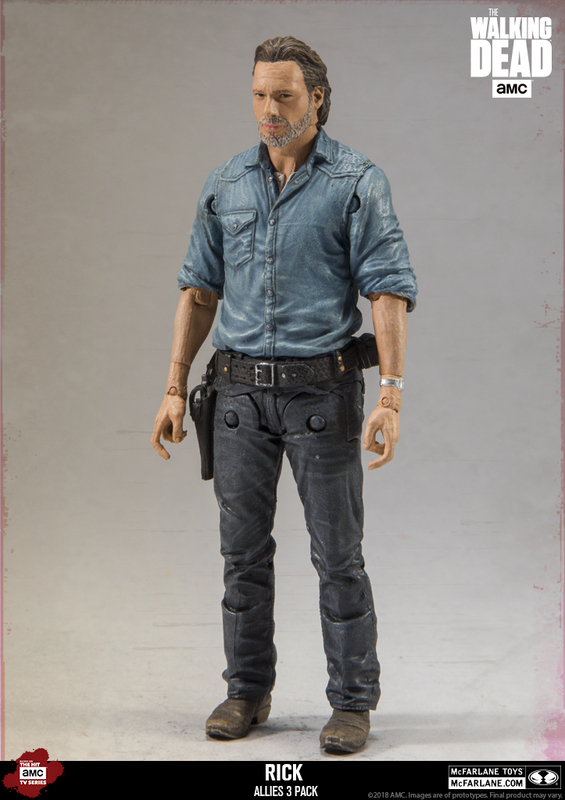 If your not outnumbered at least 10 to 1 zombies aren’t that big a deal... plus being McFarlane you’d think they’d be all ove the walker sculpts, that kind of stuff is where they’ve always excelled. Yeah, I know, I watch the show avidly. 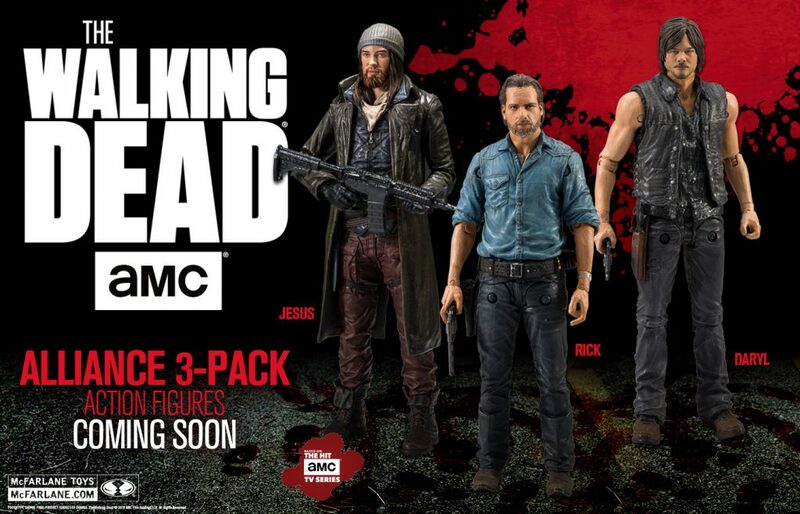 Still, think the walkers are more figure worthy subject matter than a fourth rick. Ya gotta admit a display with 8 to 10 survivors fighting off 4 walkers lacks the whole essence of the zombie threat. 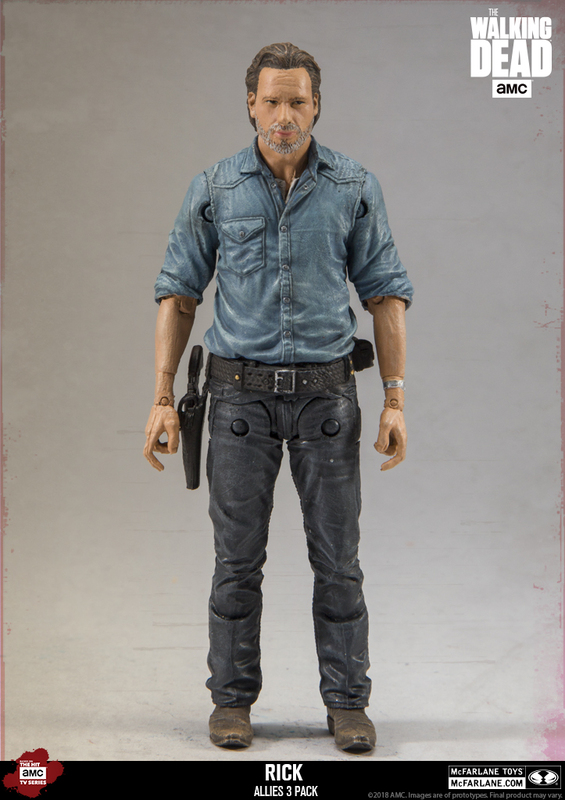 If your not outnumbered at least 10 to 1 zombies aren�t that big a deal... plus being McFarlane you�d think they�d be all ove the walker sculpts, that kind of stuff is where they�ve always excelled. 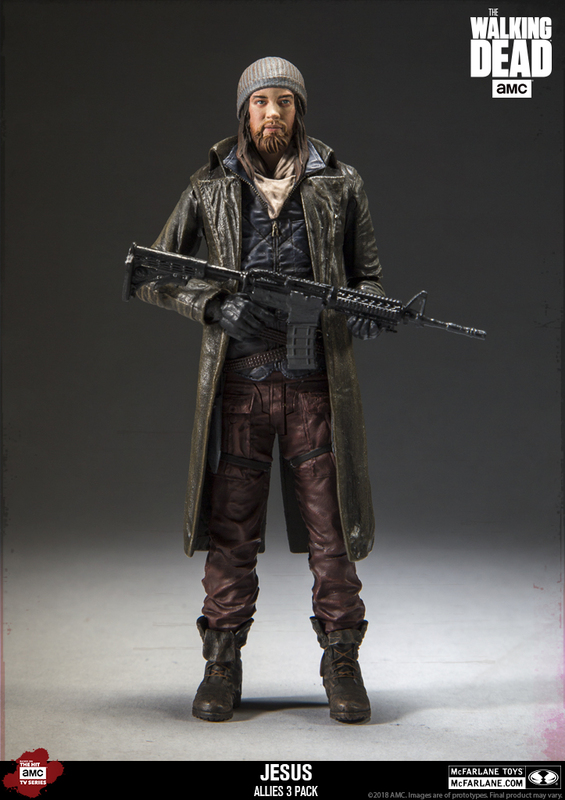 If they did some generic zombies like a soldier, or cop they could throw in a few interchangeable arms heads and legs (or stumps) and you could army build while still haveing a bunch of unique looks. And don’t short pack em! That is why I loved the two prison guard zombies. They were similar but different enough to show they were in the same situation when the poo hit the fan. I agree I like figures with proper articulation over a gimmick I will never use and have to hide in displays. I actually removed the Bicycle Girl from her grassy knoll and she is much more intimidating IMO.